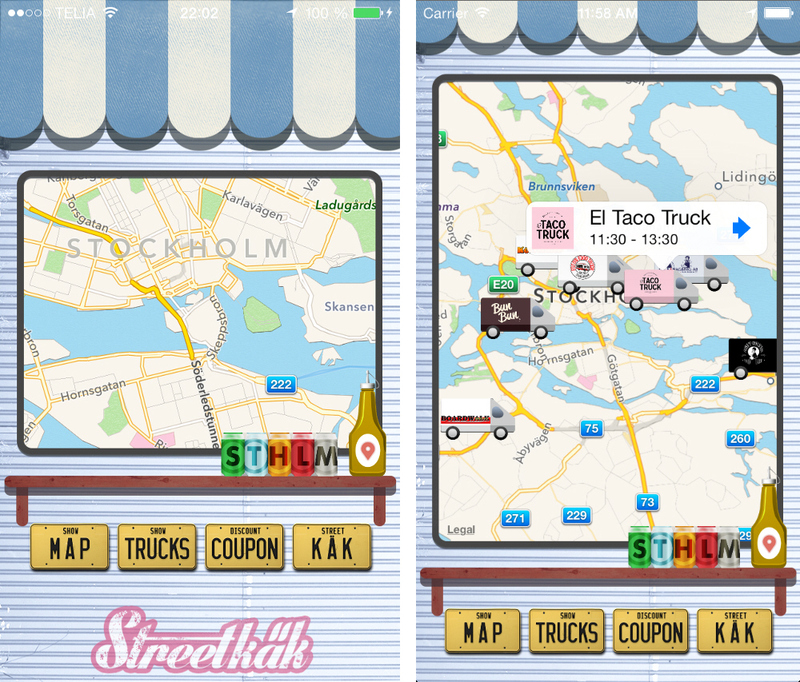 Lola A. Åkerström interviews the makers of Streetkäk – the first and only app to locate Stockholm street food trucks in real time. While the Stockholm street food scene is still in its infancy compared to cities like New York, there’s a growing culture surrounding it. For one, it’s an excellent way to dig into fresh affordable meals without breaking the bank and a new (free) iTunes app called Streetkäk is making it easier for locals to locate these trucks in real time as they move around the city. Intrigued, I caught up with the creators of the app to learn more about its reception as well as its future. STS: How did the idea of Streetkäk come about? SK: We were following the street food movement and mainly food trucks in Stockholm for a while but last summer, we tasted food from some trucks in different locations at Hornstull Market for the first time . We thought – Wouldn’t it be great if people could find these moving food joints and enjoy the new exciting delicious food they were serving? What is unique and interesting about Stockholm’s food culture especially street food? Until last year, the Stockholm street food scene had been quite stagnant for a few years and then, food trucks and roaming joints like Burger Bro’s came and stirred it all up. Street food finally arrived into Stockholm and since then, it has inspired a number of food entrepreneurs to venture out and offer some of the most exciting new food to hit Stockholm for some time. Which are some of the cool street food vendors worth checking out? Any favorites? We think one has to taste all. They all have something different to offer, from the amazing burgers from Frick & Hagberg to the Kathi Kebab Rolls from the Indian street food truck. We also think what is exciting is that the food trucks are not afraid to try new things and take feedback from consumers to make some really mouth watering dishes. How has the reception been so far for Streetkäk? We officially launched the first version on February 14, 2014 and since then, there has been a constant rise in the number of downloads and followers on social media. Today, we have 4,000 + users who have opened the app more than 35 000 times in the last two and a half months. We also get a lot of requests for new features, feedback and also gratitude from the users for making food trucks more accessible to them. Where will you like to take Streetkäk within the next 1-2 years? 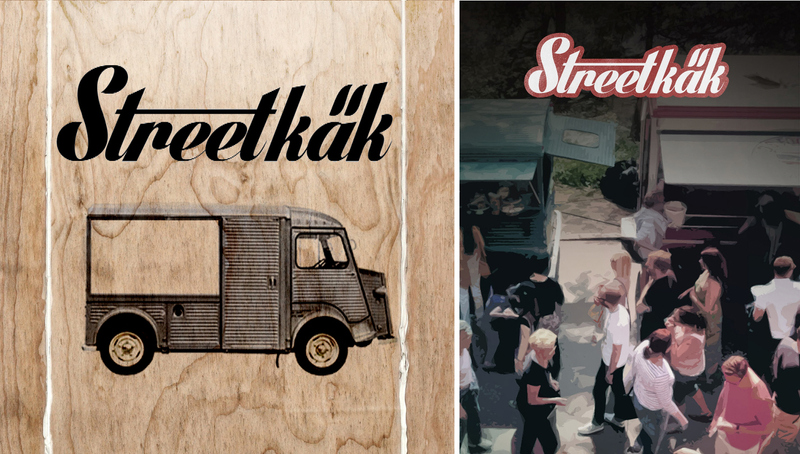 We would like Streetkäk to be a more integral part of the street food scene not only in Stockholm but also in other cities in Sweden and perhaps even abroad. We are working on new features and will be releasing the second version shortly. You can learn more about Stockholm’s street food & trucks here. 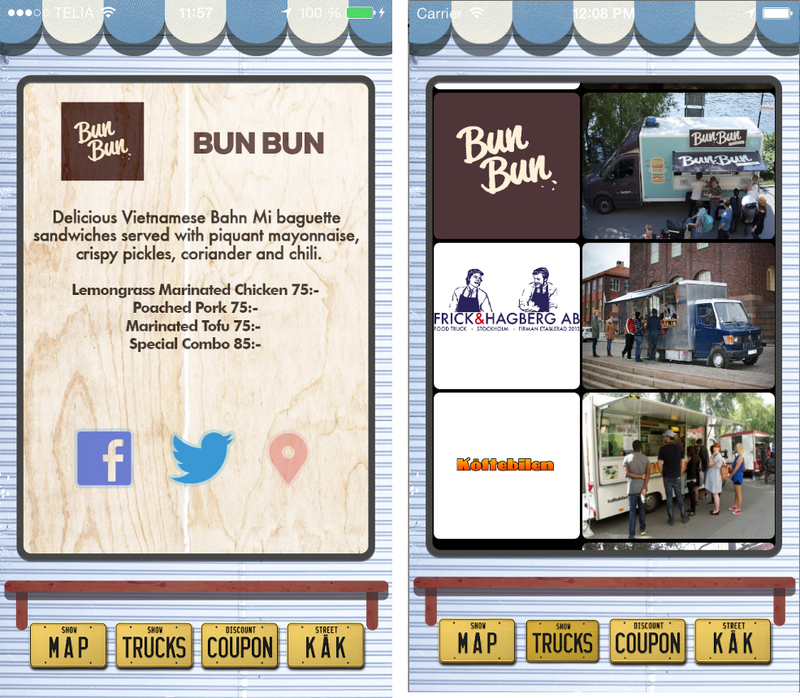 StreetKäk also keeps a detailed listing of food trucks and their meal offerings as well. Note: The website www.streetkak.se is also optimized for mobile platforms like Android and Windows Phone, and has most of the features in the Streetkäk App.